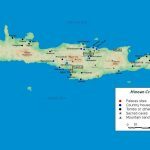 Crete is the island of Gods! 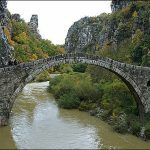 Rhodes is a very beautiful Greek island with stunning beaches, great touristic facilities, vivid nightlife, verdant nature and wonderful, well-preserved settlements. However, Rhodes is also a large island, meaning that it is really difficult to discover it all if you don’t have a car. 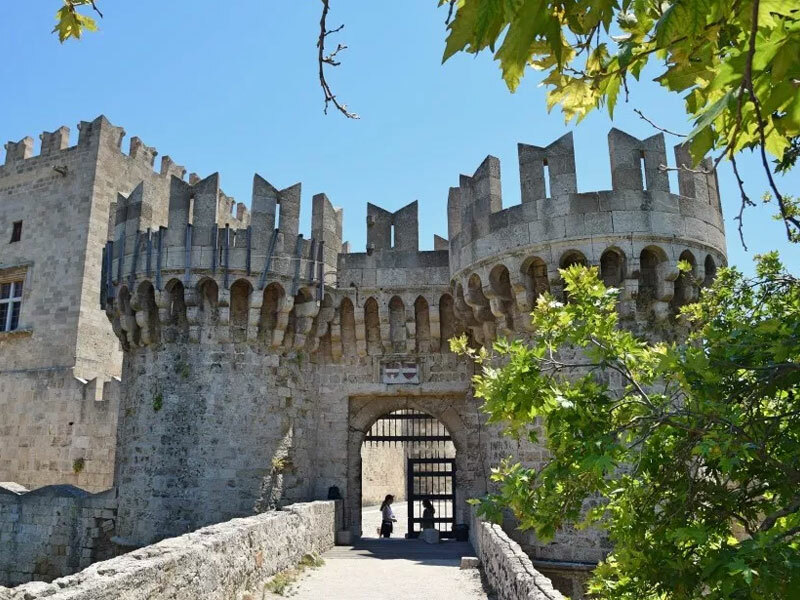 If you want to explore it within a week conveniently and with flexibility, then we recommend you rent a car in Rhodes and take advantage of super deals, especially during the off-season. After renting your car, these are the best of the best points of interest on the island. Rhodes is famous all over the world for its Medieval Town, which is inscribed on the World Heritage List of UNESCO. The Knights Period started on the island in the 14th and continued until the 16th century. Strolling around the Old Town of Rhodes is a unique experience of medieval beauty and multicultural character between the East and West. You can stay in a luxury hotel inside the medieval town, shop in elegant boutiques, drink your cocktail and generally enjoy the amazing atmosphere in one of the best-preserved medieval towns in Europe with imposing stone-built houses. Lindos, which is located about one-hour drive from the Old Town, should be your next stop as it combines an important archaeological site with a wonderful settlement. Above the well-preserved, traditional town of Lindos with its white houses and the cobblestone paths, the whole scenery dominates the Acropolis of Lindos, which offers magnificent view of the Aegean Sea from the top of the cliff. 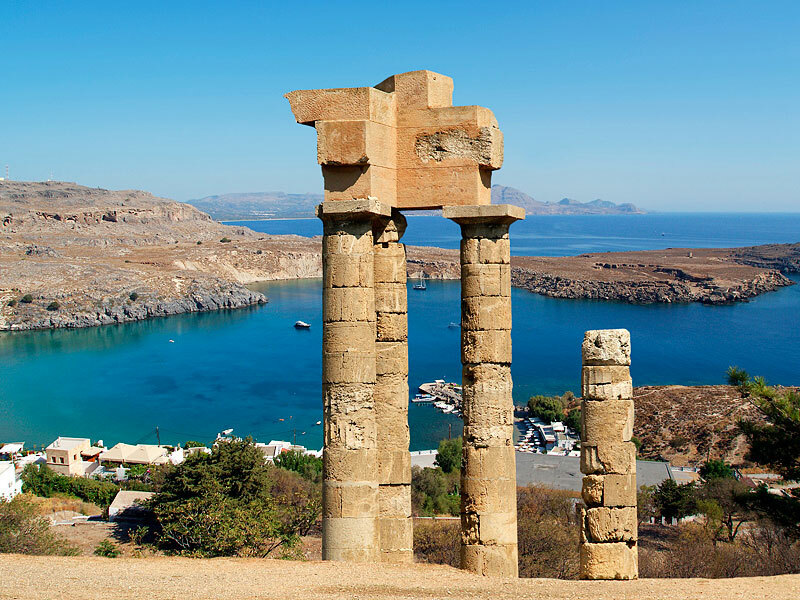 In Acropolis of Lindos, you can admire the ancient temple of Athena Lindia, the Propylaea of the Sanctuary, the Hellenistic Stoa and the Castle of the Knights, getting impressed by the fact that the site combines several periods of Rhodes’ long history. 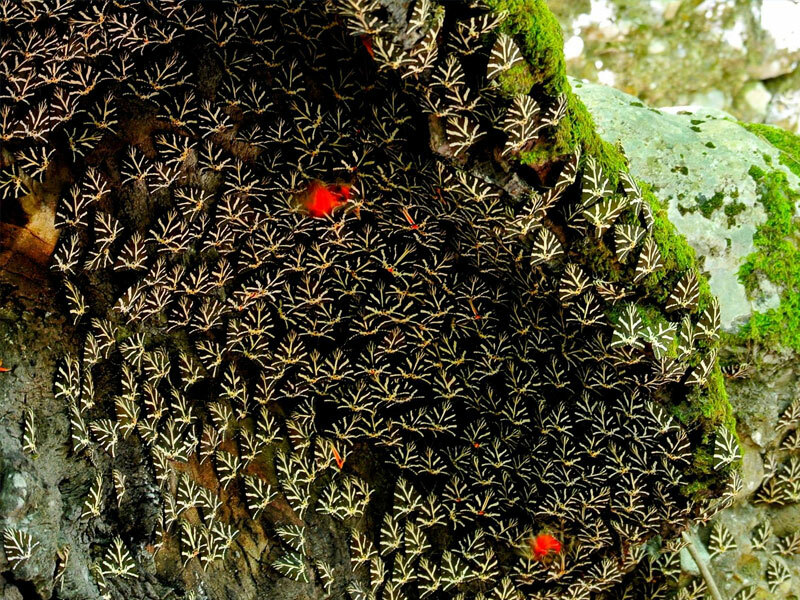 The Valley of Butterflies is an impressive forest with thousands of butterflies that come every spring to breed there. The picture of the green haven and the weird trees with numerous butterflies on their trunk is just something you will never forget. Hundreds of rare butterfly species live there, and the area is protected as a National Park, ideal for families and nature lovers. 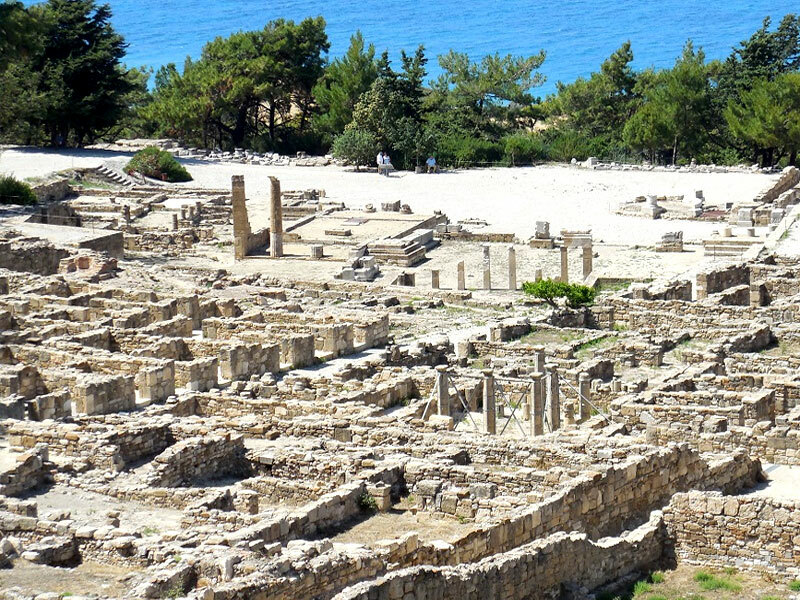 The historical area of ancient Ialyssos was inhabited since 2,000 B.C. The site is situated on Mt. 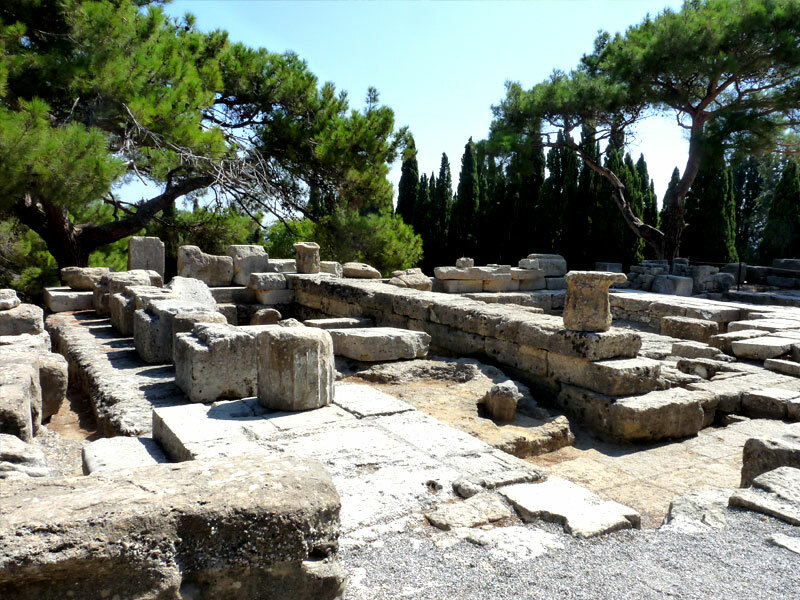 Philerimos, where you will admire the remains of the Temple of Zeus and Athena. 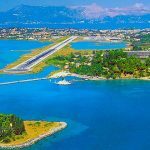 The site has also an early Byzantine Basilica, a small Byzantine church and a Doric fountain house in a multicultural monument that shows you the phases of Europe’s history and the various cultures that influenced the island. Ancient Kamiros is a must for any history lover as it was one of the three Doric cities that created the powerful city-state of Rhodes in the antiquity. Kamiros’ wealth was based on the agriculture, and it was the first city in Rhodes that cut its own coins in 6th century B.C. 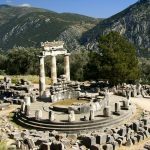 The excavations testified the existence of an ancient temple dedicated to Athena, but the earthquake of 226 B.C. destroyed the city of the 5th century.